Friday, May 6: More auditions for Liberty through Michael Cassara’s office. Wednesday, May 11: Auditions for Norwegian Cruise Lines through Daryl Eisenberg’s office. Friday, May 8: Auditions for A Scythe of Time through Michael Cassara’s office. Wednesday, May 18: Auditions for Shuffle Along through the Public Theater. Thursday, May 19: Auditions for Icon through Michael Cassara’s office. 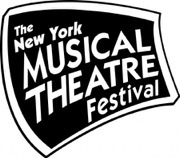 Friday, May 20: Another day of NYMF EPAs through Michael Cassara’s office at AEA, 9:30am - 5:30pm. Monday, May 23: AAA Auditions at AEA, 7:00 - 10:00pm. Tuesday, May 24: Open NYMF auditions through Michael Cassara’s office. Wednesday, May 25: More Icon auditions through Michael Cassara’s office. Thursday, May 26: Forest Boy auditions through Michael Cassara’s office. Friday, May 27: Auditions for Cookies. Tuesday, May 31: Auditions for Annie through Joy Dewing’s office.